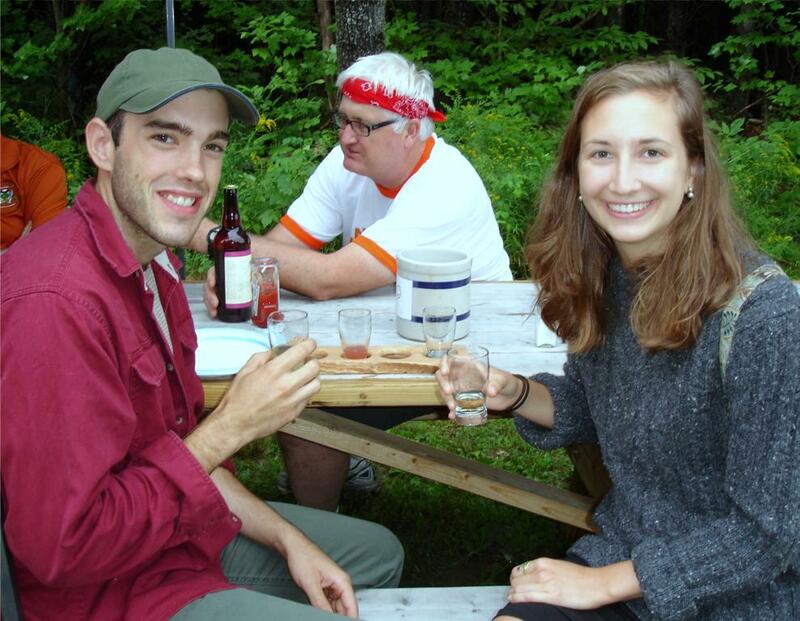 Dylan Staats and Allison Carrier, of Portland, enjoy sampling varieties of Norumbega Cidery products at a tasting held at the New Gloucester-based cider house on Aug. 13. Carrier remarked that seeing where the hard cider was made added to the experience, and the spice-flavored cider was her favorite. The summer reading program, sponsored by the New Gloucester Public Library, 379 Intervale Road, wraps up on Tuesday, Aug. 23. As tradition would dictate, a play written by Tim and Jobin Terranova will open the evening’s festivities at 6:30 p.m. This year’s performance is entitled, “NGPL Girl: The Rise of RedRay.” A presentation of the end of summer reading awards will follow the play, and the evening will end with the Chewonki Foundation putting on their its program. The public is welcome to come and show support for the young thespians and readers. For more information, call the library at 926-4840. Learn how to make ice cream at a Pineland Farms’ family program, open to all ages. First, visit their dairy cows and learn where the milk comes from to churn out this delicious frozen treat. The program runs from 10-11:30 a.m., Wednesday, Aug. 24. Buy tickets for $5 per person at The Market and Welcome Center, 15 Farm View Drive. Participants are asked to arrive 15 minutes early to purchase tickets and get to the program. For more information, contact the education department at 650-3031 or education@pinelandfarms.org. The eighth annual festival of Maine’s finest, award-winning Native American artists will be held at Sabbathday Lake Shaker Village, 707 Shaker Roadfrom 10 a.m.-3:30 p.m., Saturday, Aug. 27. The Maine Native American Summer Market provides a rare opportunity to purchase museum-quality crafts directly from Maine’s finest Wabanaki artists, nationally recognized and honored for their role in the preservation of important traditions. A wide selection of crafts are offered for prices ranging from a few dollars to several hundred dollars. More than 40 members of the Penobscot, Passamaquoddy, Micmac and Maliseet tribes will demonstrate traditional Wabanaki art forms, including basket making, stone carving, bark etching, beadwork and jewelry. Also scheduled are featured performances of drumming, singing, dancing and storytelling by the Burnurwurbskek Singers, dancers from the Penobscot Nation, and Micmac spiritual leader David Sanipass. A large flower-top basket by Molly Neptune Parker will be raffled to benefit the Maine Indian Basketmakers Alliance. Barbecue dinner plates will be for sale to the public, while supplies last. This event is to take place rain or shine, and admission is free. Refer to www.maineshakers.com/maine-native-american to see the list of participating artists. This is the southernmost gathering of Wabanaki artists in the state of Maine. Don’t miss this rare opportunity to learn about and experience first hand Maine’s Native American culture. The Environmental Resources Committee of New Gloucester has set up a demonstration garden at the New Gloucester Fairgrounds, 106 Bald Hill Road. Plants that pollinators, such as various types of bees, butterflies and birds, love have been planted with trees, shrubs and perennial flowers. An emphasis was made to include as many native plants as possible and more will be added at a later date. The plants bloom at various times to provide food most of the year for the pollinators. Those planted are deer- and drought-resistant, require minimal care and are readily available for purchase. No invasive plants were used. Plants are labeled with their scientific name as well as their common name. Initially, a soil test was done to determine which organic amendments should be added to promote optimal growth of the plants. Since the garden is in front of the water district buildings to provide screening for the buildings, only organic compounds were considered. Lime was used last fall and soybean meal was used as a source of nitrogen when the individual plants were added in amounts specified by the soil test. An additional part of the demonstration garden is to show which types of ground covers used under the mulch work most effectively in deterring re-growth of weeds. Five different types were used in different areas of the garden: cardboard, newspaper, landscape fabric, cotton sheets, and plain mulch. Watch this garden grow and consider planting many of these same plants at your home. The next monthly New Gloucester History Barn Open House, 383 Intervale Road, will be held on Saturday, Sept. 3, from 9 a.m.-noon. Exhibits of local and regional interest will be on display. The open house is free. 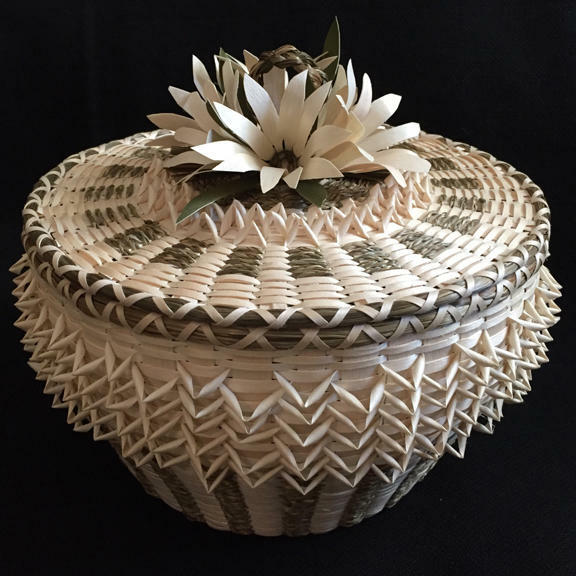 A large flower-top fancy basket by 2012 National Heritage Fellow Passamaquoddy master-basketmaker Molly Neptune Parker will be raffled at Shaker Village to benefit the Maine Indian Basketmakers Alliance.